WORCESTER, Mass. 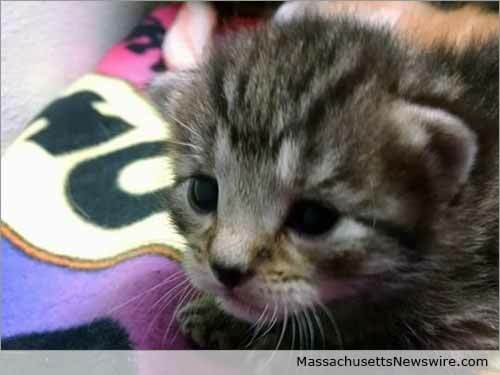 /Massachusetts Newswire/ — For many animal shelters, the spring means more than just flowers and showers—it also means kitten season. While more kittens are born in the spring, the number of homeless kittens is also on the rise. Each year, the Worcester Animal Rescue League hosts a “Kitten Shower,” a supply-raiser where the public can help the shelter prepare for the influx of kittens arriving this spring. The event will be held on Sunday, April 19, 2015, from 12 to 2 p.m., at the Worcester Animal Rescue League on 139 Holden Street in Worcester. Similar to a baby shower, WARL’s Kitten Shower is a great opportunity to help the shelter prepare for the upcoming kitten season. Don’t be surprised if there aren’t any kittens available at the Kitten Shower, just as a baby shower provides the supplies needed to care for a newborn, the Kitten Shower helps prepare for the little bundles of fluff that will arrive in the coming weeks! The mission of the Worcester Animal Rescue League is to give compassion to every being that turns to us for help, providing shelter and care for animals as well as respect and resources for people. “The Kitten Shower is a way for everyone to help the hundreds of kittens that arrive at WARL. This fun event is one that many look forward to every year!” explains Executive Director of WARL, Allie Tellier. Worcester Animal Rescue League is one of the largest animal shelters in the region. WARL prides itself on not establishing a time limit for healthy and adoptable animals, and the staff and volunteers work constantly with foster homes, rescue groups, and other shelters to place animals in the best possible home. WARL is located at 139 Holden Street in Worcester, MA. Contact WARL at (508) 853-0030 or visit them online at www.worcesterarl.org or facebook.com/WorcesterAnimalRescueLeague.